Now gift giving is just a click away! Simply select a design, write a message and your shopping is done. E-cards are emailed directly to the recipient to save you a trip to the salon! Image Skincare is an evidence-based clinical skin care company, providing professional skincare products and effective skincare solutions. The most innovative brand in the industry, Image skincare consistently produces the latest anti-aging, balancing, hydrating and illuminating technologies. Yana is revolutionary highly concentrated beauty liquid that helps to rebuild and strengthen skin by boosting the body's natural collagen production. Yana improves the way your skin looks and feels in as little as 30 days. With German ingenuity, Yana is uniquely formulated with Lumiplex technology, a highly concentrated proprietary blend of collagen peptides, ceramides, antioxidants and vitamins. The path to radiant skin has never been easier. 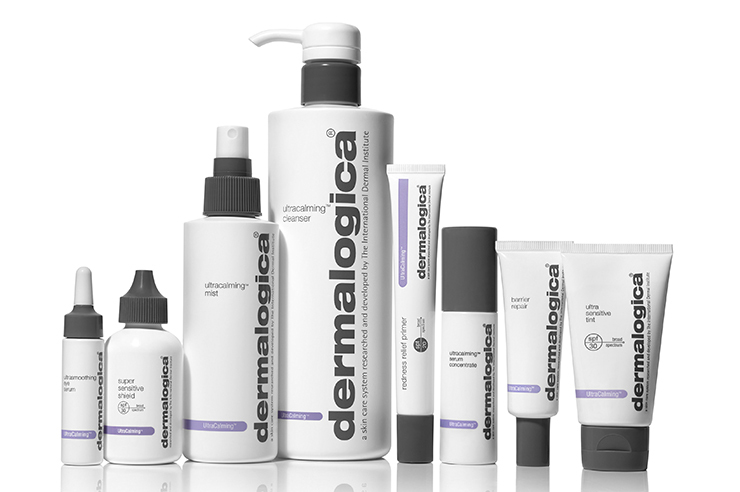 Dermalogica is a skin care line designed to improve overall skin health. Dermalogica products are free of common irritants and ingredients that could cause breakouts (including lanolin, SD alcohol, mineral oil, artificial colors and fragrances). Any scent that comes from these amazing products comes from natural essential oils and extracts that benefit skin health. Concerned with anti-aging or sensitive skin? Or maybe you are feeling dry and dehydrated or suffering from breakouts? Whatever your skin type, we have something for you! And one more bonus.....Dermalogica products are not tested on animals and are manufactured in the USA! Vitamins and amino acids repair the outer surface of the hair, thickening the hair and reducing the formation of split ends.Moisturisers from Mango butter and Murumuru butter smooth the cuticles and soften the hair. OLAPLEX One ingredient changes everything. Go Blonder. Push the envelope further without compromising the integrity of hair. Olaplex multiplies bonds making hair stronger, healthier, while color lasts longer with more vibrancy. Our patented technology relinks the broken disulfide bonds in every type of hair providing real, structural repair that works from within. DEVAcurl is botanically infused and always 100% sulfate-free! Depart from the ordinary with this exclusively designed hair care system for curly, wavy and chemically processed hair. This unique system, with its own unique blend of botanically infused moisturizers and cleansers, will rejuvenate, restore and respect your hair's natural order without the use of harsh chemicals. What is in the Deva System? The answer is what is NOT in the Deva System. We took the poo out of shampoo, the harsh lathering and dehydrating detergent found in most shampoos that has no inherent value in the cleansing process. We've removed all unnecessary chemicals that often play on hair's vulnerability. We added extra botanical and moisturizing ingredients that cleanse, condition and re-hydrate the hair, more than any products existing on the market today. Each product has it's own unique blend that will enhance the overall quality of dehydrated hair.